Each year, homeowners and business owners across the nation sustain significant weather-related property damage due to floods. These can include losses caused by waves, tidal waters, the overflow of a body of water, the rapid accumulation or runoff of surface water, and mudslide. In nearly all cases these flood losses cannot be prevented or even anticipated. In many cases the losses are devastating. Most standard property insurance policies, including most of our polices, do NOT provide coverage for flood losses. While flood coverage is often available-primarily through the –National Flood Insurance Program– it is rarely purchased. Unfortunately each year we find that some policy holders are surprised and disappointed to learn that damages they have suffered are a direct result of what is classified as a flood and not water back up, and are therefore not covered under the policies they have. Please review your insurance coverage with your agent or call us at 630-627-7764 as you consider the need for flood insurance. We would be more than happy to help determine if you live in a high flood zone and discuss your options on protecting your home and belongings. Keep in mind that floods happen all over the country and not just in coastal areas or areas near rivers or streams. 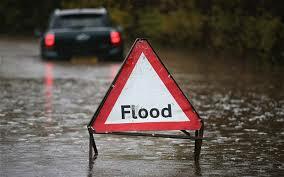 It only takes several inches of rain in a short period of time to cause flooding and damage in an area. Even dry areas are prone to flooding as a significant amount of rain in a short period can not be absorbed fast enough and cause large areas of standing water. For Further information please contact our agency or refer to the link below to find out about flood insurance.